Large established companies need to take a “best of both worlds” approach to innovation in order to be competitive and meet ongoing consumer expectations. That's the view of Daniela Simpson, an experienced FMCG executive and the newly appointed general manager of the US$1.1 billion candy and fruit snacks business unit of Ferrero USA. The business unit was acquired out of FMCG giant, Nestle, by Ferrero earlier this year in a deal worth US$2.9 billion. 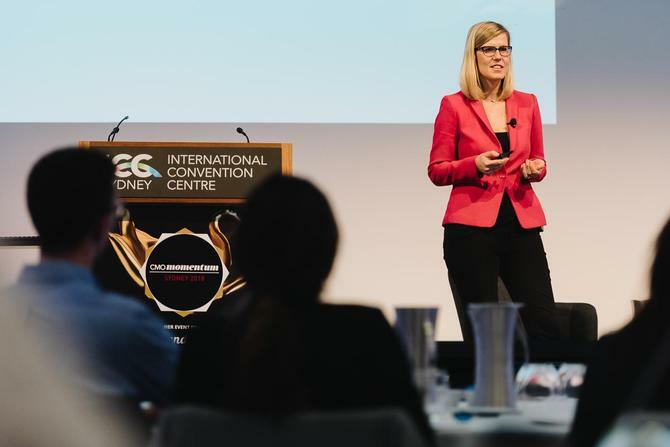 Speaking at the second annual CMO Momentum, Simpson revealed during her keynote address how to innovate with the nimbleness of a startup, and how to sustain the modern marketing function. Simpson has built her career around taking brands and building them into thriving businesses. She has also gained a great deal of experience in the M&A field by playing a key role in the sale of Nestle's Confections and Snacks business to Ferrero. “We need to create the concept of the best of both worlds: How do we lean into what works within our larger, mid-sized company - like relying on resources and experts in the company - and then, on the flipside, how do we borrow from the world of startups that are known for flexibility and focus and speed?” she told attendees. Simpson outlined four key components to drive innovation across the organisation and sustain the modern marketing function. They include: Implementing a sprint process; appointing a carefully selected team; having an empowered and enabled flexible approach to testing, and validating with consumer feedback; and having the right physical space. The sprint process, for example, which was originated by Google Ventures, is one of the most inspiring and fun processes a marketer can do today, she explained. “The sprint process is a formal process, but it’s very flexible and very fast,” Simpson said, explaining there are different versions and varieties. She has regularly utilised the five-day sprint with her current team. “It starts on Day 1 with immersion, so plunge yourself into whatever challenge or opportunity you’re trying to tackle. You ideate on Day 2. Then, you iterate a prototype build on Day 3 and next you start consumer testing on Day 4. Then on Day 5 you prototype optimisation and do more user testing,” she explained. The team should encompass core team members passionate about the project including marketers and R&D; a steering committee, including a division head/CEO, operations, sales and consumer insights; and a think tank representing the voice of the consumer, but also acting as a project partner. “It’s also very important that the sprint happens in the right physical space,” she said, emphasising that it’s important to find a space away from people’s usual desk space. A real-life example of a successful five-day sprint process Simpson initiated with her team in 2016 started with an insight around the Hispanic consumer in the US and the desire to create a candy specifically designed for that group. “There was no real offering for the Hispanic consumer so that was the insight and the opportunity/challenge that we began,” she said. After doing the sprint process, the team developed a new flavour of Nerds candy - a Mexican version - building the concept within five days. “It was Nerds Lucha Grande, a Nerds candy inspired by some of the Hispanic flavours like mango chili and guava, but it was also inspired by the understanding of some of the cultural aspects of the Mexican consumer, including the love for Mexican wrestling,” Simpson said.